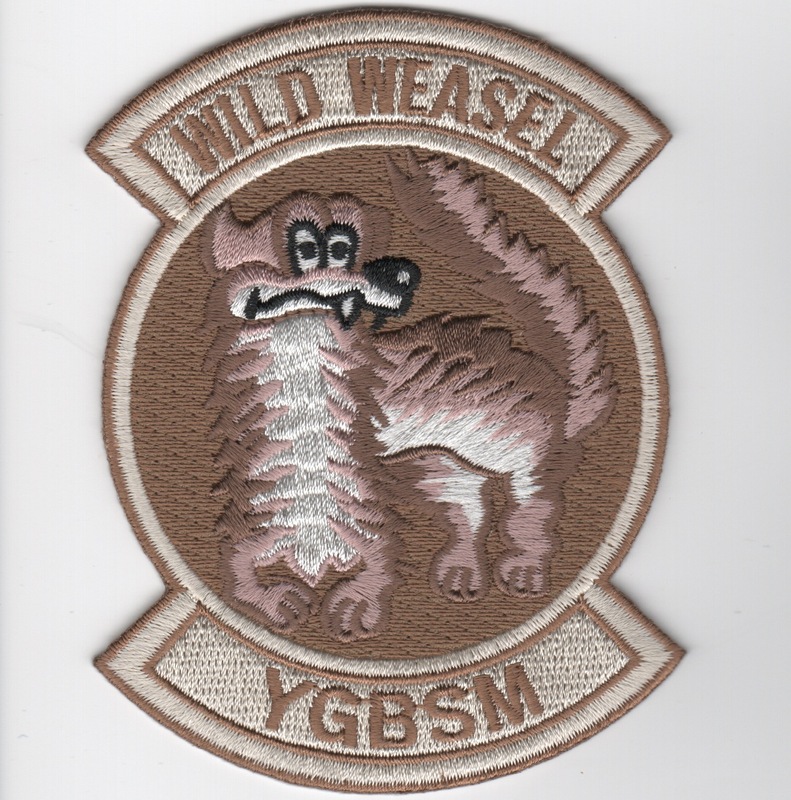 Wild Weasel is a code name given by the United States Armed Forces, specifically the US Air Force, to an aircraft, of any type, equipped with radar-seeking missiles and tasked with destroying the radars and SAM installations of enemy air defense systems. 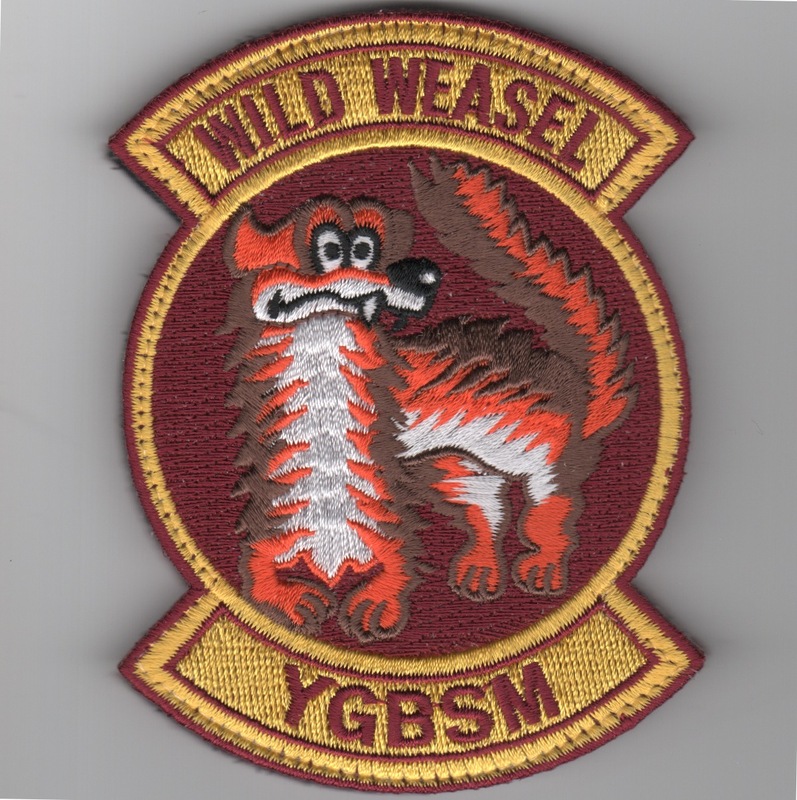 "The first Wild Weasel success came soon after the first Wild Weasel mission 20 December 1965 when Captains Al Lamb and Jack Donovan took out a site during a Rolling Thunder strike on the railyard at Yen Bai, some 75 miles northwest of Hanoi." The Wild Weasel concept was developed by the United States Air Force in 1965, after the introduction of Soviet SAM missiles and their downing of U.S. strike aircraft over the skies of North Vietnam. This mission was flown by the F-4, F-100, A-4, F-105 and now the F-16 with the F-35 slated to replace them. This is the desert version of that historic patch and comes with velcro attached. 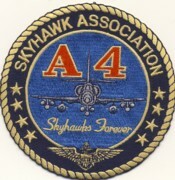 This is a round patch for the "Skyhawk Association" for A-4s. It has a gold rope edge. It shows an A-4 in the middle and states "Skyhawks Forever". It has navy pilot wings near the bottom of the patch. 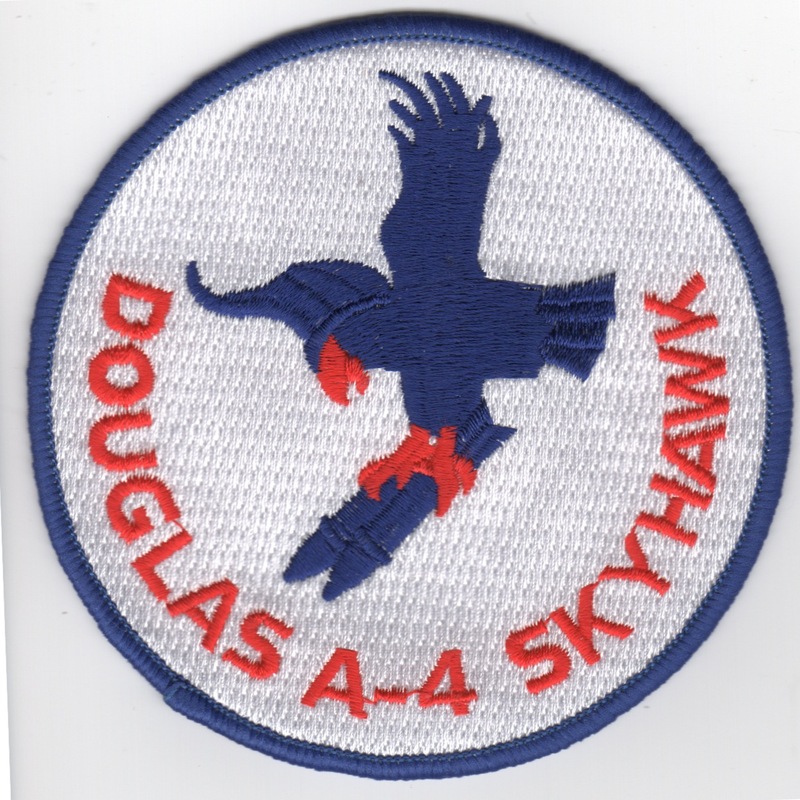 This is a white version of the patch for the Douglas "Skyhawk Association" for A-4s. This patch does not come with velcro already attached. 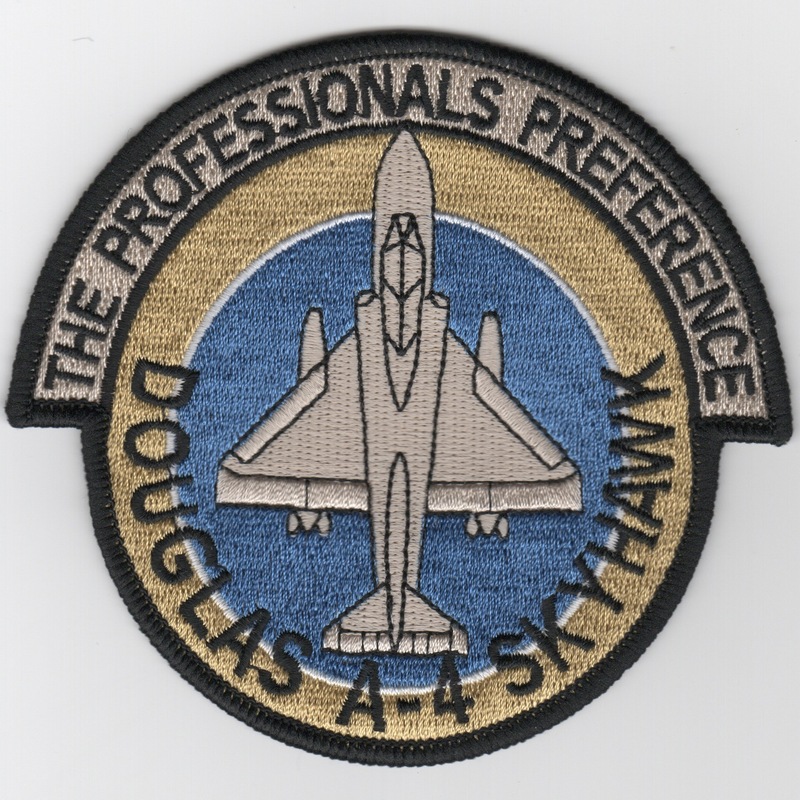 This is a A-4 "Professionals Preference" aircraft patch for the Skyhawk drivers. This patch does not come with velcro already attached. This is the desert version of the famous A-6E Intruder "Low-Level Landscaping Services" patch created back during the first Desert Storm. This is the Gulf of Sidra Yacht Club patch depicting the A-6E Intruder. This patch was issued AFTER Operation ElDorado Canyon in 1988 against Khaddafi and his forces in Libya. This patch does not have velcro attached. 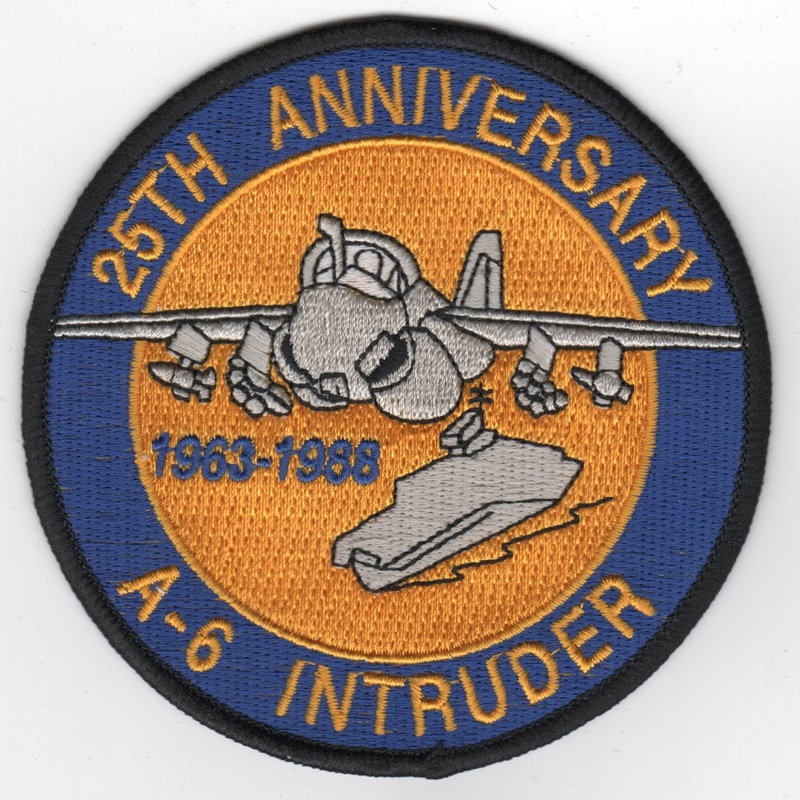 This is the 25th Anniversary patch created for the A-6 Intruder community. It has the dates 1963 - 1988 and this patch was picked up at the 2018 Intruder Reunion from one of the Bombardier/Navigators present that had a shoebox full of them, therefore I am assuming this is an authentic patch from the 1988 era. This patch does not have velcro on it. 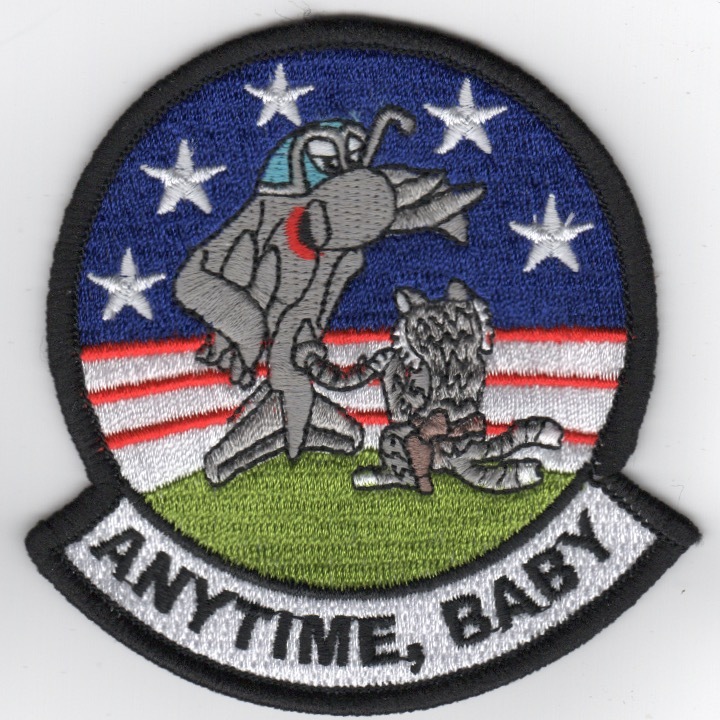 This is the "Anytime, Baby" Felix patch created for the A-6 Intruder community that has a Tomcat (refering to the F-14 Tomcat) sucking on the "hose" from the Intruder, since we could always carry more gas and usually had to give it away to those that needed it. 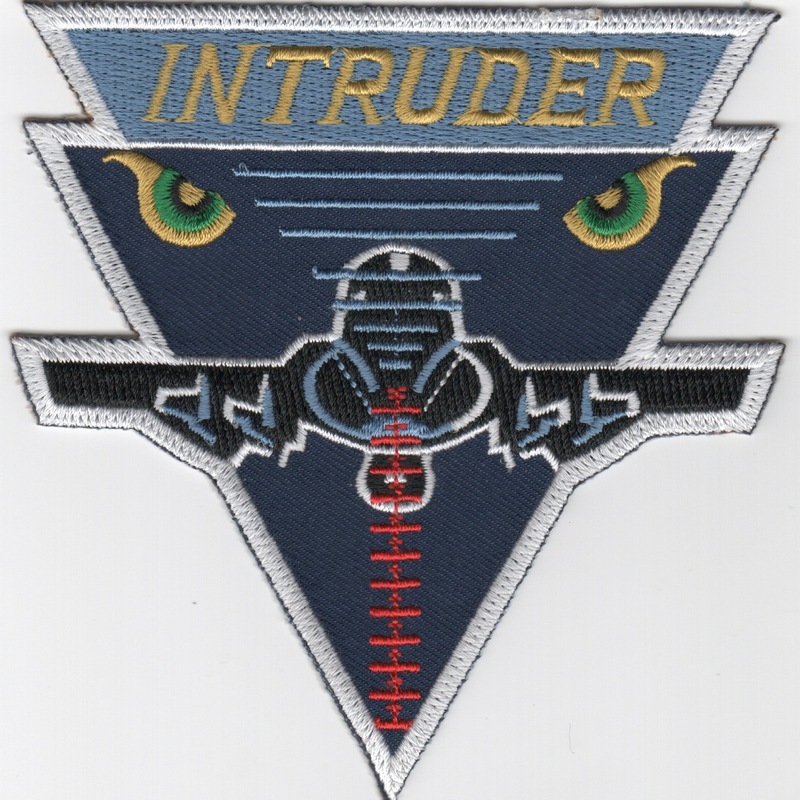 This patch was picked up at the 2018 Intruder Reunion from one of the Bombardier/Navigators present that had a shoebox full of them, therefore I am assuming this is an authentic patch from the 1988 era. This patch does not have velcro on it. 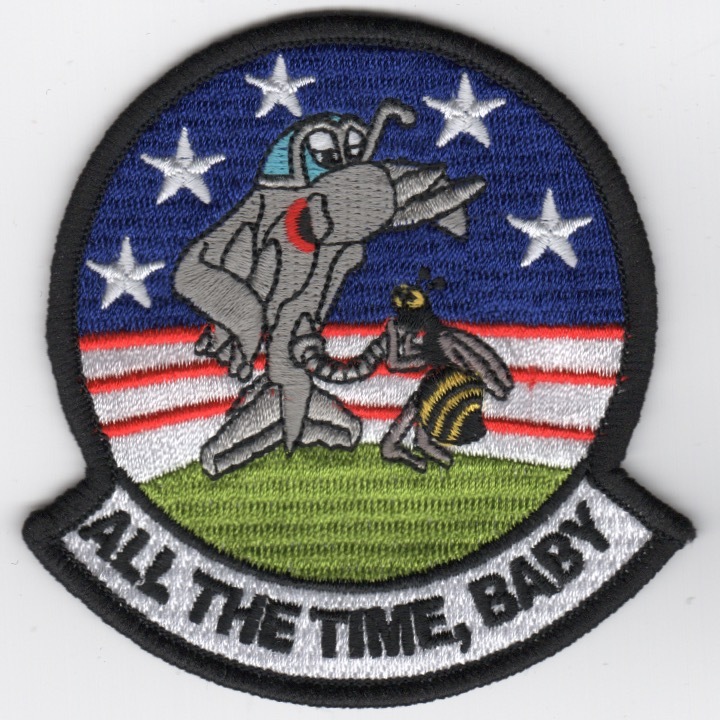 This is the "All The Time, Baby" Felix patch created for the A-6 Intruder community that has a Hornet (refering to the F-18 Hornet) sucking on the "hose" from the Intruder, since we could always carry more gas and usually had to give it away to those that needed it. 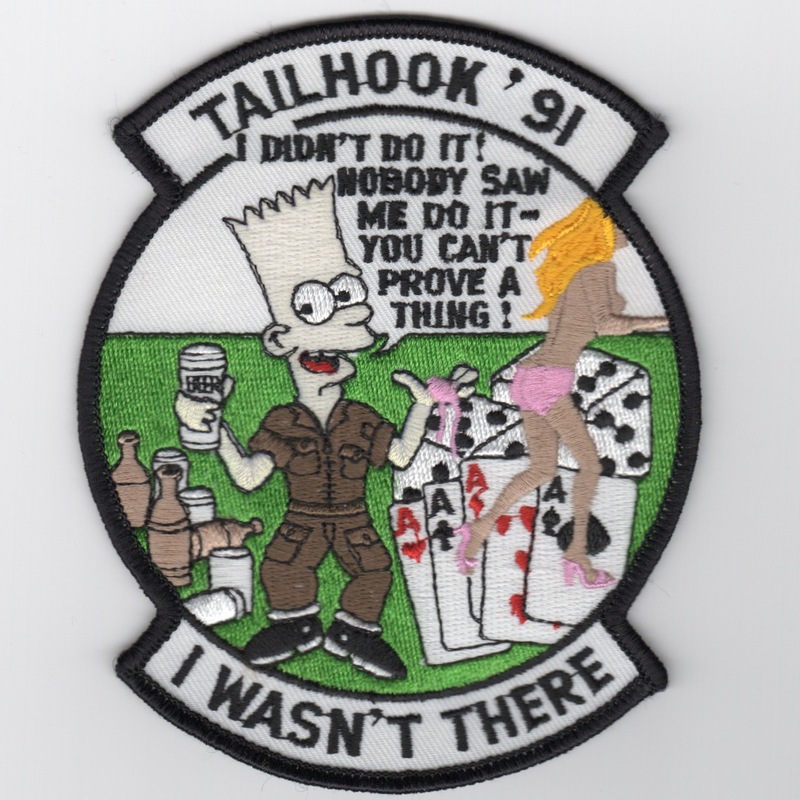 This patch was picked up at the 2018 Intruder Reunion from one of the Bombardier/Navigators present that had a shoebox full of them, therefore I am assuming this is an authentic patch from the 1988 era. This patch does not have velcro on it. This patch was probably the LAST Intruder patch created, and only 100 of them were ever made. I recently came across the last dozen of the original patches.....I know this to be fact, as I was the Coffee Mess Officer for VA-75 when we decommissioned the venerable A-6E Intruder. This patch was created when the last Intruder squadron (VA-75) decommissioned, to commemorate those who had served in that community. 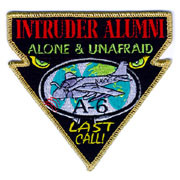 This is the "gold-bordered" version of the Intruder Alumni patch, and does not come with velcro. This is the "blue-bordered" version of the patch that represents all those who worked on or flew the Navy's greatest attack aircraft, from Vietnam to the Storm, the venerable A-6E Intruder. This is the "white-bordered" version of the patch that represents all those who worked on or flew the Navy's greatest attack aircraft, from Vietnam to the Storm, the venerable A-6E Intruder. 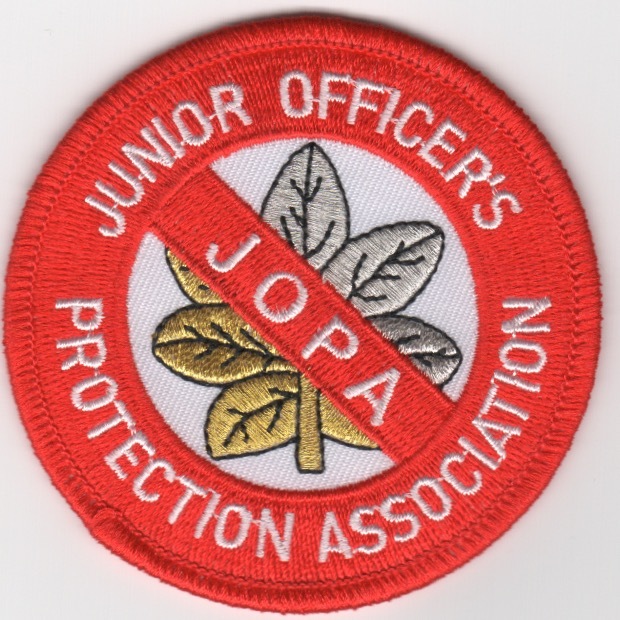 This patch does NOT come with velcro already attached. 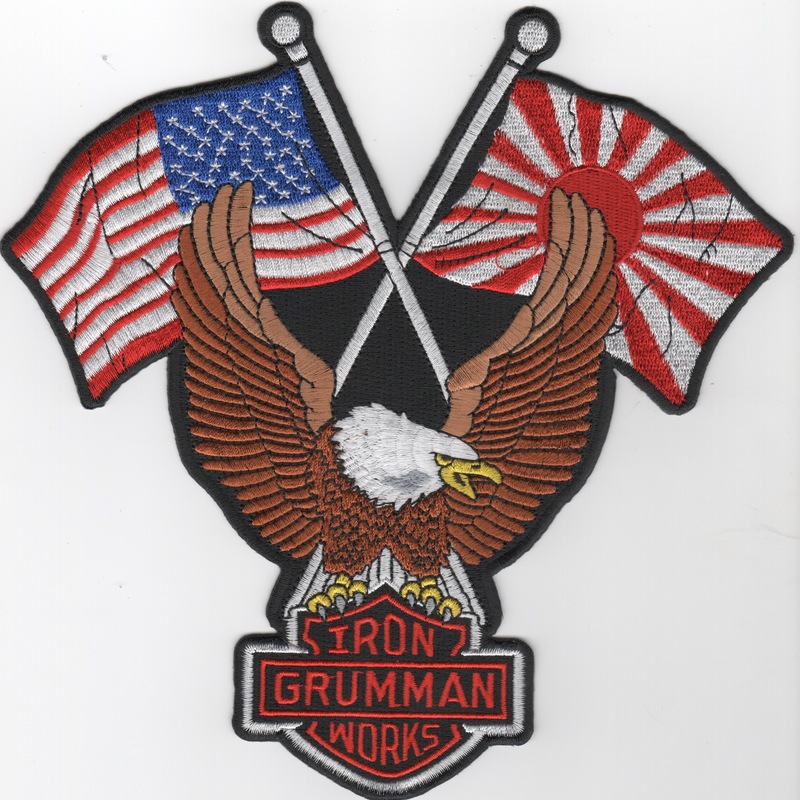 This patch was created by the boys out at China Lake where the new & improved Intruder was tested. It has a glass cockpit and fly-by-wire controls, all the good stuff. Too bad it was canx'ed. 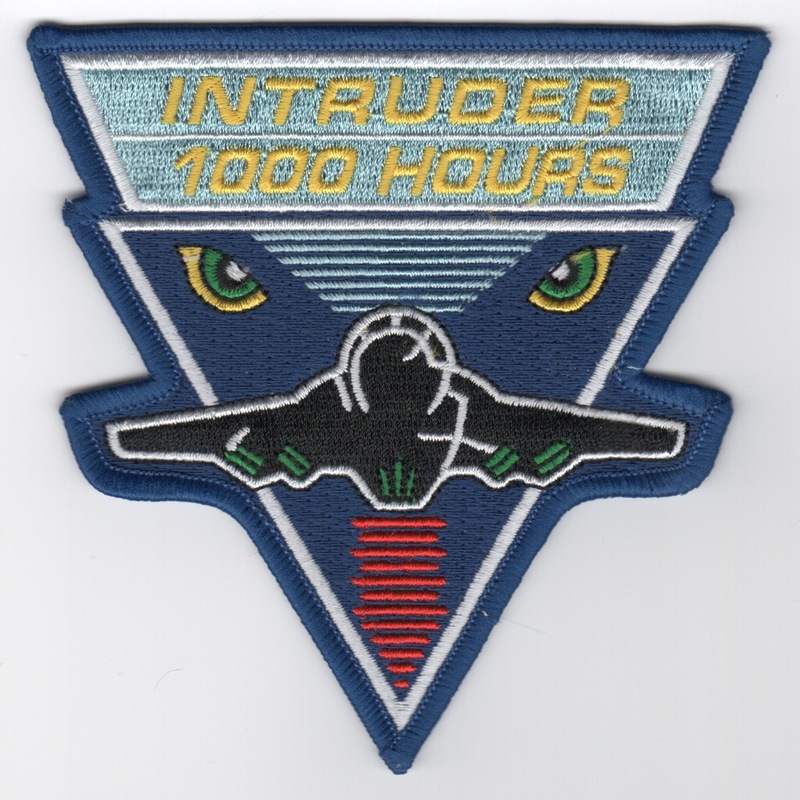 This is the A-6 Intruder standard '1000 HOURS' patch worn by those who earned that many hours in the venerable jet. This patch does not have velcro attached. 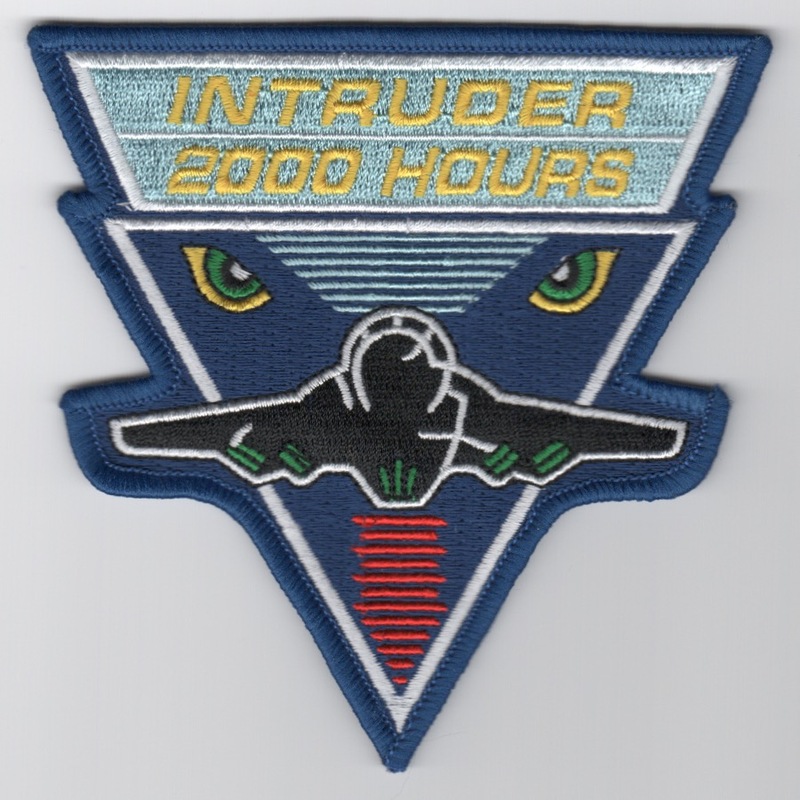 This is the A-6 Intruder standard '2000 HOURS' patch worn by those who earned that many hours in the venerable jet. This patch does not have velcro attached. 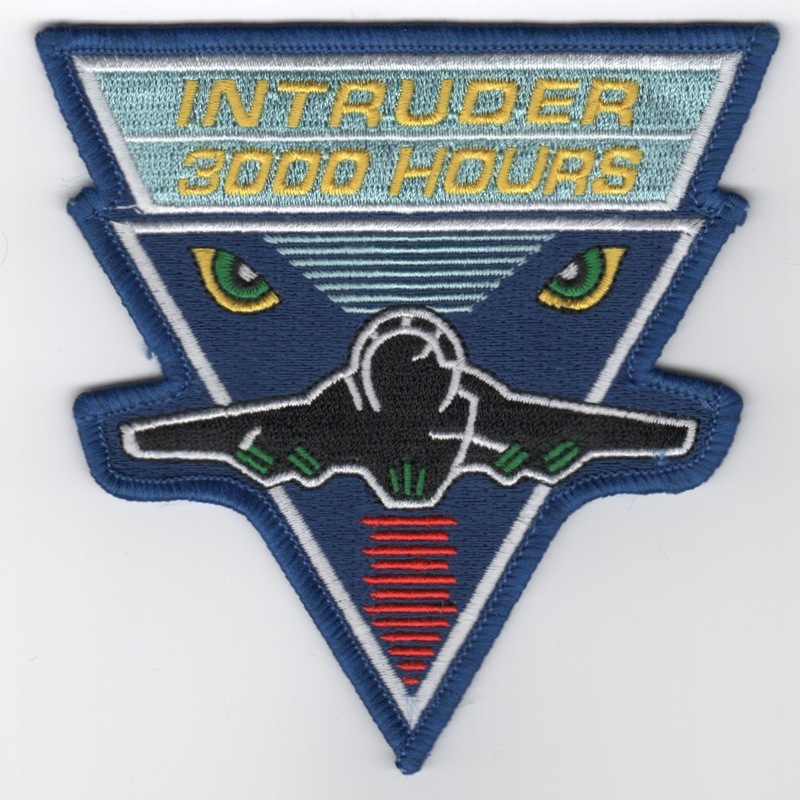 This is the A-6 Intruder standard '3000 HOURS' patch worn by those who earned that many hours in the venerable jet. This patch does not have velcro attached. Use this link to get the three above "HOURS" patches for the A-6 Intruder. These patches do not have velcro attached. The A-7E Corsair II is one of the rare breeds of aircraft that found acceptance in both the Air Force and Navy. It's stub-nose was a familiar site on the flight decks of the carriers for over 2 decades. It was introduced in Vietnam and continued to serve faithfully until post-Desert Storm. Once she made her final return, she was replaced by the F/A-18C Hornet. The deceitful appearance masked the fact that she could carry substantial payloads for great distances, penetrate hostile defenses, and deliver the ordnance accurately. This is the desert version of the A-6E Intruder aircraft patch. It was created during Operation Desert Storm for wear on the desert flightsuit by the Intruder pilots and B/N's. 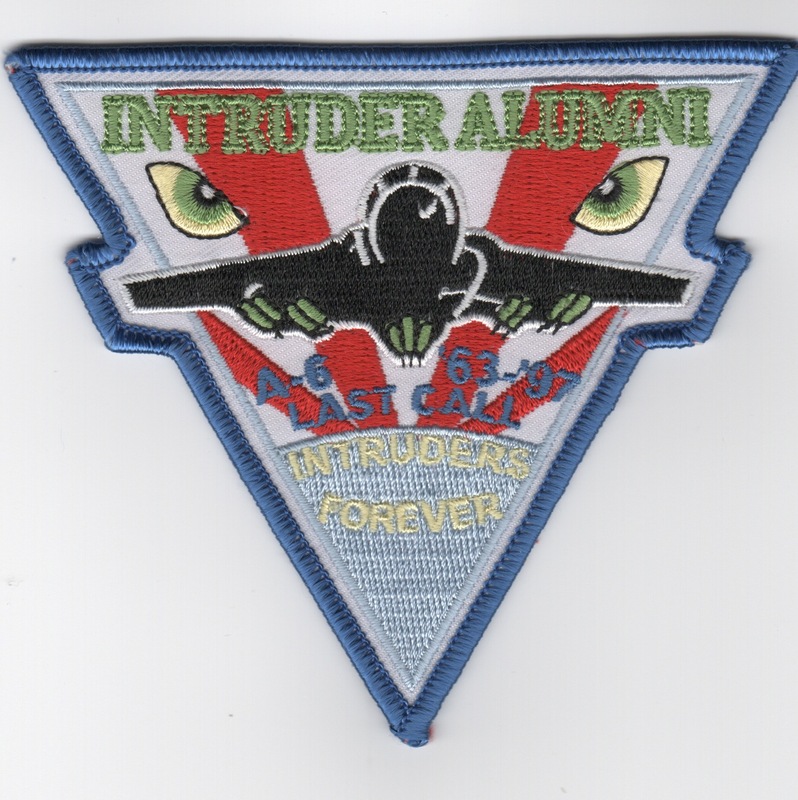 This is the regular (silver/black) version of the A-6E "Combat" Intruder aircraft patch. It was created by the crews for wear on the flightsuit to commemorate all the different "conflicts" the venerable Intruder had participated in. Too bad she was retired in '97. This is the desert/yellow version of the A-6E "Combat" Intruder aircraft patch. It was created by the crews for wear on the desert flightsuit to commemorate all the different "conflicts" the venerable Intruder had participated in. Too bad she was retired in '97. 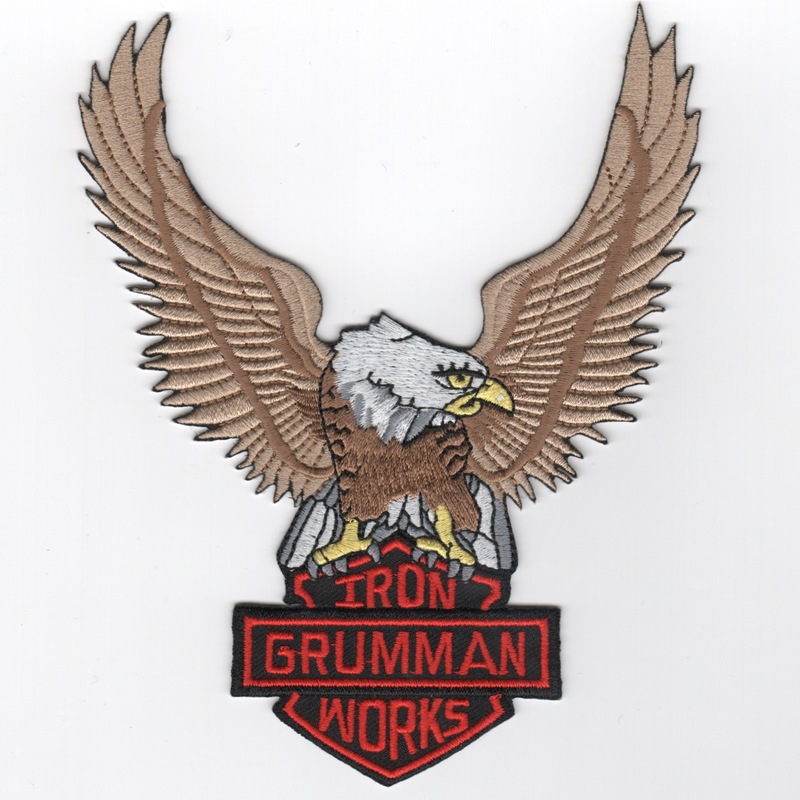 This is the color version of the A-6E's "Flying for Freedom/Made in the Good Old USA" patch. Too bad she was retired in '97. 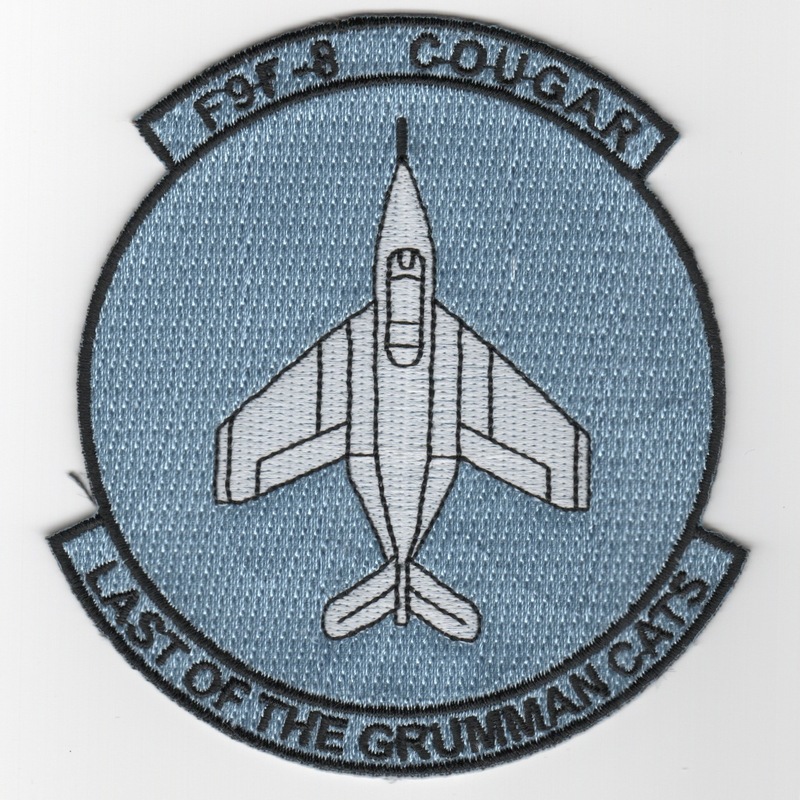 This 'reproduction' patch commemorates the legendary F9F-8 Cougar as the "Last of the Grumman Cats". It does not come with velcro attached. RA-5C Vigilante "Yankee Station" patch created for the Vietnam era. This is a reproduction patch. Homepage | Order Misc VA Patches!